Actually, according to Beuchner himself, it’s not a direct quote, as he explained in an interview. But it captures the essence of what he was getting at. As Christians, imbued with God’s image, we all want to know why we’re here. What we’re supposed to be about. For what purpose did God create us? And we tend to spend a lifetime seeking “the” answer to that question. In the meantime, we live and move and have our being, going about our days, doing our best to please God and enjoy Him for now and here, longing for over there. This we call our Christian walk. In the process of living our lives in the light of God’s Word, we seek to be better people. To be Spirit-filled, God-shaped, Christ-redeemed creations. We care about those around us. Go to work and do our jobs as well as we can. 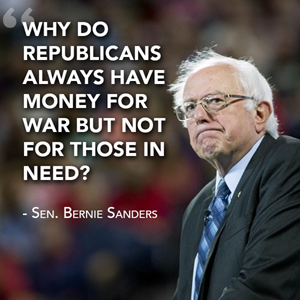 Give money to those in need. Do acts of service. Treat people well. Grow where we are planted. As we do these things, our vocation and purpose takes shape through our humble, clumsy service to God. Perhaps we even recognize that our “purpose” is not singular, but rather a series of purposes, a multiple of callings. All, of course, anchored in Christ connected by His will flowing through us. From time to time, our thoughts turn to heaven. “What’s that going to be like?” we wonder. Honestly, I’m not sure Christianity has done a good job of revealing what heaven and the new earth will be like. What it won’t be like is how it is cartoonishly characterized, us sitting on a cloud wearing a halo and wings, strumming a harp. Although there are people who believe that’s the case. While elements of this false image can be found in scripture, the Bible never describes such a scene. The Bible does, however, in short, reference a new heaven and a new earth, our reigning with Christ, streets, cities, dwellings, all implying activity. Frankly, I’m really hoping there will be books as I’m thinking there’s going to be a lot of time to catch up on my reading! Maybe. Maybe not. I’m not sure if we’re going to know all we want to know all at once. If our inquisitiveness and appreciation of literature, art, music, and all the fun things of life will be of no use, why did God so firmly implant them in us to begin with? 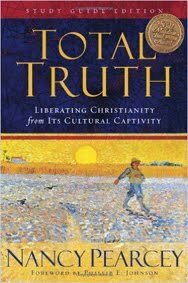 Last year I read a really great book, Total Truth: Liberating Christianity from Its Cultural Captivity by Nancy Pearcey. I strongly recommend the book to everyone. As Spock would say, Fascinating! This means we’re going to have stuff to do over there on the other side. Stuff for which we are perfectly suited, that fits to a T our created personalities, that extends our unique gifitings into eternity! Wowza! That sounds, well, darn fun! And how we live now, all we do here on earth in this short time we have prepares and shapes us for the rest of our eternal lives. This helps sift down the possibilities for us in terms of what we’re made for. Wanton carousing isn’t something this earth or the new earth needs. In this we find further guidance when it comes to vocation as well. We seek to do that which pleases God, serves Him and provides us a sense of enjoyment -- joy, satisfaction, contentment -- in the process. Add in the context of Luke 10:25-37, where an expert in the law correctly explains the path to eternal life is found when we “Love the Lord your God with all your heart, with all your soul, with all your strength, and with all your mind; and your neighbor as yourself,” and we also learn that what we do must benefit those around us. Jesus clarifies this through the telling of the parable of the good Samaritan. It’s not about us having our fun, doing what we want, living our truth, even if it’s not hurting anyone else. How we live here on earth, what we do now, does have eternal consequences. For believers, these consequences don’t end at heaven’s gate. Death for the Christian isn’t an end. It’s a new beginning to a new life and a truly glorious career! So, how’s your on-the-job training going? Does this change how you think of Jeremiah 29:11? :“‘For I know the plans I have for you’—this is the Lord’s declaration—‘plans for your welfare, not for disaster, to give you a future and a hope.’” Do you wonder what life after death will be like? How have you envisioned it? What do you believe you will be doing in heaven? Do you agree or disagree that what we do now is a preparation for what we will do in eternity? Please share your thoughts in the comments! Foolishness, stupid arguments, injustice, scarecrows, sea-plows, gender strifes, bowls of wine & cucumbers. I pity the fools, uh, I mean people. Yes, people. I pity good, sweet people who foolis..., uh, stubbornly refuse to read the Bible in any other version but the King James. I love the King James. It’s what I grew up reading. Many times when I’m trying to look up a verse, what comes to mind is the King James phrasing. So, I may start with the King James, but then I branch out. There are so many great translations and paraphrases that blow away the obscure, Yoda-like language of the King James. Personally, I don’t believe you can really get the most from the Bible by sticking exclusively with the KJV. There’s just too much in the KJV English that’s a tad archaic. For example, take 2 Timothy 2:23. This verse has come to my mind a lot lately given some of the scuffles going on out in social media land over politics, religious practices, and all things trivial. Know what I mean? Got that? Is it clear? No, right? It’s worse than Yoda-ese! It sounds so dainty and soft and not really a big deal. And what the heck is a “gender strife”? Ha! Now we’re getting closer to a clear, blunt meaning! Wow. This is pretty serious stuff after all. 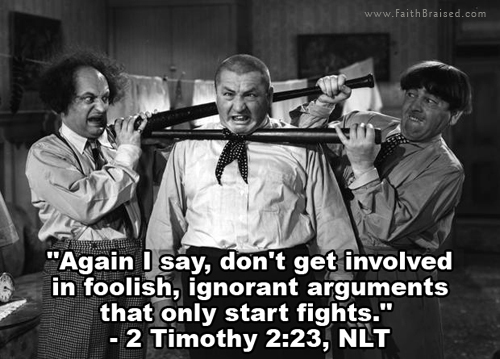 Paul is clearly issuing a strong warning that we Christians, at all costs, are to avoid becoming entwined in dumb, senseless arguments that only serve to stir up bitter hostilities. See what I did there? I restated the verse in my own words. This is a great way to get at the full meaning of any passage. You should try it! Often I’ll note keywords (like those that I’ve underlined above) and look them up in a dictionary to see their complete meanings and look up synonyms. But, like I said, I like to read in different versions. Is that a cucumber scarecrow you’re idolizing in your pocket or are you just glad to see me? Every day I read one chapter in each: two from the Old Testament (OT) and one from the New (NT). In the OT I’m working through the Prophets right now. These are great, fun books to read. 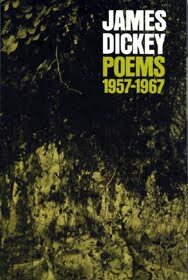 They are full of poetry, sweeping language, and some great imagery and metaphors. Not to mention wit and humor! The “they” being referenced are the idols and false gods being worshiped by the ungodly culture surrounding the Children of Israel. As the first part of the verse can be translated as either “palm tree” or “scarecrow” it’s important to see both renderings to get the full meaning. Frankly, given the context, I think “scarecrow” is the better choice. But, please, go read the full chapter to make up your own mind. For us, anything that replaces God in our lives, becomes more important than following Christ, or blocks the activity of the Holy Spirit in our hearts and minds is likely some kind of contemporary idol. The simple point being made with flare is that giving any credence to any idol is just absurd. One of the fun books I’m reading through now is Amos. What a curmudgeonly guy, but boy could he turn a sweet phrase. Hmm, this feels familiar. Where have I experienced this before? Amos has something to say about this. In verse 12 he asks the crazy, wacky, ridiculous questions: “Can horses race over rocks? Can you plough the sea with oxen” (Philips). Okay, but what about that ploughing (aka plowing) the sea with oxen? And absurdity is the point Amos is making. He’s leveling a scathing accusation at the Israelites who boast of their wealth and accomplishments, while at the same time ignoring justice. “Do horses run on rocks? Does one plow the sea with oxen? In other words, ignoring or perverting justice and exalting in self-righteousness rather than true righteousness is as stupid as trying to plow the sea with oxen. All through the Bible there are clear warnings to avoid the absurdities of stupid arguments, giving credence to idols, and indulging in self-righteousness that allows injustice. Somehow these warnings seem especially relevant today. And yet, just as those who were being directly warned by the prophets and Paul, we ignore these warnings and keep on doing the dumb things. This is especially easy to do when the Bible we’re reading is written in an obscure variant of old English that allows us to evade its true, full meanings. Hmmm, maybe that’s exactly the reason why some insist on a KJV-only devotional life. Or why some don't read the Bible at all. Hmm, I wonder. Maybe. I don’t know. What I do know is that it’s a lot more fun and interesting to read the Bible in a variety of versions. And a lot harder to dodge its commandments and truths. Familiar passages yield new insights. Mistaken ways of believing are corrected. Shallow understandings are deepened. The bottom-line is that reading the Bible in a version different from the KJV, or different from the version you are used to, can do nothing but be beneficial. After all, “Every part of Scripture is God-breathed and useful one way or another—showing us truth, exposing our rebellion, correcting our mistakes, training us to live God’s way. Through the Word we are put together and shaped up for the tasks God has for us” (2 Timothy 3:17, The Message). I step to the counter. I pay and receive my order. in a fancy, bold typeface. is a very hot drink. * It’s PoMo! 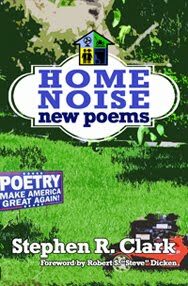 To learn about PoMo (POetry MOnday), click here. Do you like this poem or not? How do you know? Did someone tell you to like it? What do you mean you never question anything? Are you sure about that? How does Psalm 34:8 slant your thinking on this? Do you think you can share your thoughts -- if they really are “your” thoughts -- in the comments? Please do. I grew up being taught that “bragging” was not a good thing. That “showing off” or bringing attention to oneself was not being humble. It was being prideful. I’m also an introvert. I like to be quiet and hang back observing the action rather than being in the middle of it. Add into this that it’s also a challenge for me to ask for help. So any self-promotion is very hard for me to do. Very hard. Always has been. When I was living la vida corporate, it wasn’t unusual when evaluation time rolled around, that I was asked to write my own. Once written I would hand it off to my boss who would tweak and approve it. Clearly, for the evaluation to earn me a raise or a promotion, it needed to be glowing! Ugh. I hated writing those things. Don’t get me wrong. I worked hard, did a good job, and knew that I deserved any raise I got. But writing about myself like that went against how I had been raised. It wasn’t easy. And please don’t beat up on my parents! They did the best they could with the skills and understanding they had. Their intentions were golden. But I’ll agree the execution might have been a little shaky. Probably, so was how I received their lessons on humility. I’m not sure I heard and interpreted everything exactly right. Still, while I believe it’s okay to “put your best foot forward,” at the same time, to avoid coming across as a braggart, a little humility is a good thing. So it is with humble pride that I quietly shout the news that I am the Grand Prize winner of the WestBow Press “New Look Contest” for 2015! Yay! Woot! 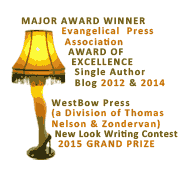 WestBow Press is a division of Thomas Nelson and Zondervan, all owned by HarperCollins Publishers. 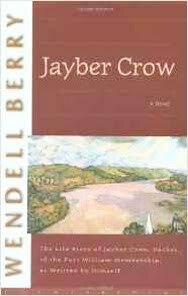 Unlike many self-publishing operations, this one has significant built-in credibility which adds cachet to the book. Also, if the book does well (which is why I need your help), there’s a chance that it could be picked up by Thomas Nelson or Zondervan and receive more widespread attention. While the Grand Prize is great and the publishing package is loaded with important features, there are a couple of gaps. Marketing: As is true with all books today, I’ve got to do a fair amount of marketing, or hire someone to help me. I’m conservatively estimating that I’ll need at least $5,000 to cover these expenses. I definitely need to at least cover the editing, which is essential. To that end, I’ve set up a GoFundMe page where you can offer your help and support! You are welcome to contribute any amount. However, if you donate at least $40, once the book is published, I will send you a signed paperback copy. You can see more details at www.gofundme.com/hungeringdark. There are a lot of people using these crowd-funding services to raise money for their book projects. Many of them are just now writing their books or haven’t even started. They are trying to raise money for untested ideas. 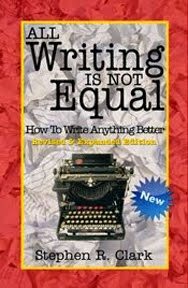 Many are not seasoned writers and have no publishing experience. I am and do. My book is written and already in process. By winning the WestBow contest Grand Prize, it is a vetted product recognized to have merit. The value of the prize is around $5,000. And while asking for another $5,000* seems like a lot, getting a book into print and into wide distribution is a costly enterprise. My desire is to make the book as successful as possible. And I can only accomplish this with your help! 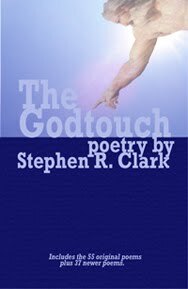 The story is a fun, clean read with a Christian slant, suitable for all ages. It’s got a touch of sci-fi/fantasy, a fair amount of suspense, a little romance, some biblical history, and even fast-paced action. It shares the story of an unimaginable challenge overcome in a very unique and surprising way. For now. 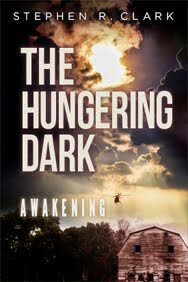 You can read a more detailed synopsis at www.gofundme.com/hungeringdark. As I stated in the beginning, this is hard for me. But I know I’ve written a good, fun book that deserves a chance in the marketplace. I just need your help to get the job done right. So, with genuine humility, I’m asking for your financial support. And for help getting the word out about this book! If you give at least $40, once it’s published, I will send you a signed paperback copy! Even if you can’t afford to give money, please share this post with your friends, relatives, and co-workers. You will have my undying gratitude. Thank you in advance. What do you think? Crowd-funding to get a book published is being done more and more frequently. Is this a good thing or not? How do you feel about self-promotion? Is there a way to promote effectively without being heavy-handed or prideful? I’m always put-off by those who do it too aggressively (such as Trump), but I know it’s necessary to sell books or acquire clients. Share your thoughts on what I’m doing and your feelings about self-promotion as prideful in the comments. Please, I’d love to hear from you! * UPDATE: I've lowered my goal from $5000 to $3500. The person who will be editing the book has given me a *very* generous break on the cost, so my needs are less. Yay! And I know she'll do a great job; I've worked with her before. So, we're moving forward. Thanks again for your support! Aging. What can you do? Does this poem resonate with your experience? Do you take your available senior discounts? Is 10% enough? Share your thoughts and experiences in the comments! "I hear you earned a Certificate thingy from Princeton Theological Seminary. That's nice. So, now what the heck are you going to do with it?" 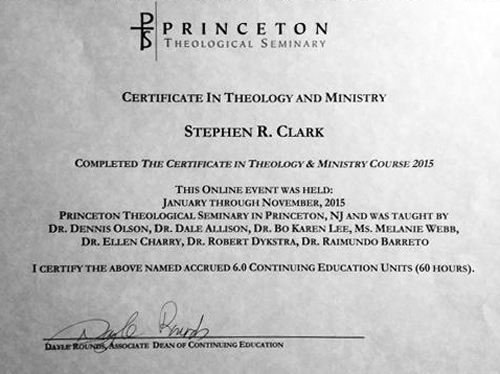 Late last year, I completed the Certificate in Theology and Ministry offered online by Princeton Theological Seminary (PTS). * Along with about 120 or so other people who were scattered across the country and the world. This past weekend, PTS invited all who completed the course to attend a special recognition luncheon and worship service at the Princeton, NJ campus. There was a substantial turnout and the program was outstanding. Well, I won’t be performing weddings or funerals. It’s not that kind of certification. But, frankly, I don’t think it’s necessary to pursue learning solely for the purpose of “doing” something with it. The value, joy, and reward is in the learning itself. Especially when it’s affordable and convenient! I’m assuming you would be a little bewildered by such a question. That’s sort of how I feel when people ask me about the course. Honestly, I took the course because I wanted to. But, since the answer, “I did it because, like Mt. Everest, it was there!” isn’t appreciated, I decided I’d take the time to provide a fuller response. After all, you asked me! Beyond “because I wanted to” there are at least three broad reasons I took the course. These are also reasons I read books and just keep learning in general, by the way. Among other things, I’m a writer. 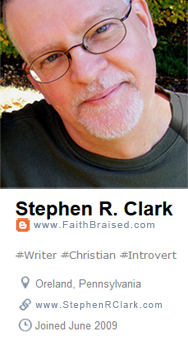 Most of what I currently write tends to be related to biblical faith. A lot of Christian writers I know will spend a lot of time reading books on writing, learning how to better market their work, going to writer’s conferences to meet other writers and connect with publishers, and so forth. 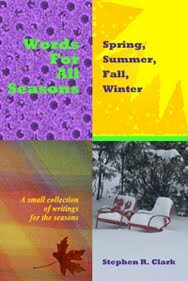 The focus of their efforts is on the writing and the selling thereof. But it’s long been a pet peeve of mine that conferences, courses, and how-to books for Christian writers never include workshops or chapters on developing biblical thinking, understanding the latest trends in theology, practicing practical exegesis, writing from a biblical worldview, or anything that helps improve skills on the Bible / theology / doctrine side of things. The closest anything comes is offering something devotional or inspirational in nature. That’s nice, but not enough. 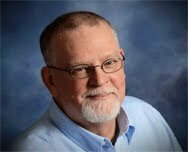 Frankly, I don’t see how anyone can be a good “Christian” writer without also having and nurturing a good grasp on all things biblical and theological. And much of what’s needed will not come merely through church attendance, participating in a small group Bible study, or Sunday school. Which, by the way, are thoroughly worthwhile and beneficial endeavors. A lot of what I’m “going to do” with this learning that I’ve acquired I’ve been “doing with it” through my blog and other writing opportunities. Not to mention in non-writing interactions with others. Because no skill, talent, or gift is a “once and done” thing. They require ongoing refreshing. Years ago when I was an editor of a Christian magazine and living near Chicago, Wheaton College offered a series of workshops aimed at writers. One of the presenters was Peter Jacobi, now professor emeritus of journalism at Indiana University. He used the acronym AIDA, also the title of an opera, to cover a few key elements of writing effective articles: Attention, Interest, Desire, Action. What he offered I already knew but had never heard presented like this. This “new” take on “old” information injected fresh insight into my thinking that helped me improve my writing. The same principle holds true with ongoing, continuing Christian education. Just as you can never eat or drink “once and for all”, the same holds true for all learning. 2 Timothy 2:15 states plainly that, as Christians, we need to study God’s Word and know how to rightly divide it (aka interpret and apply) to show ourselves approved. We are also instructed to “work out” our own salvation (Philippians 2:13), to understand God’s will for us (Ephesians 5:17), to stand against the devil and his tactics (Ephesians 6:10-18), to be ready with an answer for our hope (1 Peter 3:15), to be prepared “in season and out of season” (2 Timothy 4:2), and on and on. Like learning in general, the Christian life is not a “once and done” experience. It’s a process of ongoing growth and maturity. While some are satisfied with what they can pick up from a Sunday sermon or the Christian radio station, I’m not. As that great raspy-voiced theologian, Bob Dylan, once said, “He not busy being born [again] is busy dying” (my paraphrase). And so I keep reading, studying, discussing, and listening. There is always more to learn, more understanding available, more insight to be gained. One very useful aspect of the Certificate course was the global perspective it captured. Some of this came through the various participants located around the globe (Hong Kong, Greece, Europe, etc.). Part came through the final module on “Understanding World Religions” which provided a gentle smack-up-side-of-the-head reminding us that our cultural experience is not the same as anyone else’s. If you don’t think that how you understand the Bible or view God is not influenced in anyway by where you were born, where you live, how you were parented, the education you received, and on and on, then you are as naive as I have been. An amazing insight that comes through this is, despite such massive diversity of experiences, the same Holy Spirit lives in each follower of Jesus and makes the one true God alive and visible through us around the globe. 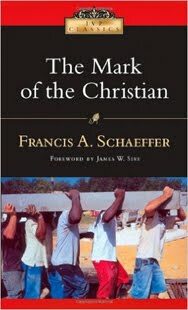 An essential, yet too often neglected, element of the Christian life is being in fellowship with other Christians. Often, churches are referred to as the local body of Christ. However, no single church, or even denomination, embodies the whole body of Christ. Every church is a local expression of the whole body of Christ. This means that not only does each Christian play an essential role in the whole body, so does each biblically orthodox church, whether tiny rural country fellowship or ginormous city mega-thing. The body metaphor is interesting (1 Corinthians 12). 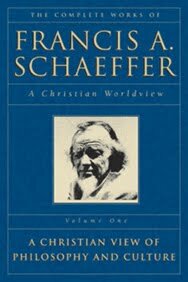 Paul posits that each true believer is a body part that (1) is essential to the body as a whole, (2) dependent upon every other part, and (3) never is dishonorable, regardless of function or purpose. The implication is that for the body to work well, each body part (organ, limb, etc.) must be healthy and efficient. To be healthy requires nourishment and cohesion. In other words, it must be fed and connected. Within the body local of Christ, each of us is called and ordained -- yes, called and ordained -- to serve in some productive, life-supporting role. As disciples of Christ, we’ve all got jobs to do. At the most basic level, all of us are called and ordained to be present. To show up. And to give financial support to the body local where God implants us. But that’s not enough. All that stuff I mentioned previously about working out our salvation, showing ourselves approved, and so on, is to be done within the body local, in fellowship with the other body parts. The body local is a “Head and shoulders, knees and toes. Eyes and ears, mouth and nose” kind of thing. So, we are to avoid “staying away from our worship meetings, as some habitually do” (Hebrews 10:25) and encourage each other in the faith (1 Thessalonians 5:11), even when that involves iron sharpening iron (Proverbs 27:17). Because I take this fact of the Christian life seriously, whatever church I’ve been a part of, I’ve always sought to be actively involved. This was the example of my parents that my sister and I witnessed and inherited as their legacy. Our entire immediate family, as well as many cousins, aunts, uncles, and other relatives, were always very active in the church of our youth. I guess it’s in our DNA! The shape of my own involvement and how that involvement unfolds is influenced by how God has made and gifted me combined with the needs of the body local into which I have been grafted. Over the years, these roles have included Sunday school teacher, men’s group leader, Sunday school superintendent, janitor, small group leader, board member, special projects committee member, Scout troop leader, administration support, PR and communications helper, bulletin maker, newsletter writer and editor, web designer, periodic giver of sermons, sound booth operator, graphics maker, Powerpoint manager, usher, greeter, and so on. So, understanding that wherever God puts me I will be involved in that body local, and knowing that whatever we do we are to do well and for the glory of God (Colossians 3:23-24), ongoing training and education seems appropriate. I understand that, for many, the whole point of any education, whether a multi-year degree at the cost of thousands of dollars, or a several month certificate at the cost a few hundred, is to “do” something specific (aka, get a job and produce income). I get it. Although I don’t entirely agree with it. But I’m not going to argue the points here. I pursued the Certificate for all the reasons I’ve stated. I’ve long wanted to get a Masters, preferably in Theology or something related, but the timing and the funds would never synch up. So, when I discovered this Certificate program, I pounced. I did not have a specific monetizeable outcome in mind then, nor do I now. If I’m never able to point to specific income derived as a direct result of investing my time and money in this Certificate program, it will not have been a waste of either. Some will get it. Some won’t. Those who get it should consider signing up the next time this Certificate program comes open. For those who don’t get it, don’t worry. I’ve added this accomplishment to my Linkedin profile. I challenge you, dear reader & you, too, institutions of learning! One thing that I hope comes of my effort: that it serves as a positive example to you, dear reader, to pursue more and dig deeper when it comes to God’s Word, doctrine, theology, and related subject areas. Search for local and online opportunities to take a course, even for a few weeks. Take what you already know and apply it where you are. One way to learn more is to be involved in your body local. A lot of good things can come from active small group participation. But I also want to issue a challenge to all Christian colleges and universities. We need more affordable, accessible, online programs like the one offered by PTS. Their program is specifically aimed at laypeople who are ministering in the body local and who are hungry for accessible, affordable training. These people can’t afford to leave their jobs and homes, pay thousands and thousands of dollars, all to earn a degree. That’s expensive overkill. What they need is more of what is represented in the Certificate* program I completed. It needs to be very affordable, only a few hundred dollars. Very practical, nothing egghead or ivory tower. Very accessible, online using readily available free software and inexpensive tools. And, of course, engaging, using personable professors who can connect well in an online context. If you represent a Christian college or university and are interested in setting up a program, contact me and I’ll connect you to the people at PTS. And I’ll be happy to share my ideas. And that’s all I have to say about this. For now. Aren’t you sorry you asked? Are you active in a church? Do you feel adequately trained or not? What kind of training would you like to be able to access? Have you participated in any kind of continuing education program online or in a classroom? How was your experience? Do you agree with my assertions in this post, that all Christians are called and ordained to be involved in ministry? Why or why not? Please share your thoughts and reactions in the comments! * The course consisted of 6 modules: Old Testament Resources for Faith and Life, New Testament, Forgiveness and Reconciliation, Theology for Faith and Life, Pastoral Care, and Understanding World Christianity (this final module was slated to be Congregational Leadership, but had to be changed due to an unforeseen scheduling conflict with the professor). Over the year, there were 30 live two-hour lectures, assigned readings, and the writing of short “class blog posts” of 100-200 words, as well as six 400-600 word “final” essays for each module. Everyone signed on, using Adobe Connect, to listen to the lectures. We could comment and ask questions in the chat box. Some students who chose to were connected to ask questions via video. For the written assignments, we were assigned groups of around 12 or so that rotated every 10 sessions. Only those in our assigned groups saw our posts. Each of us was required to comment on 3-5 posts of other students. While admission to the course is closed for 2016, I would encourage everyone to sign up for next year. Holy sh@#! Do you see what I see? When I was a kid, my sister and I used to do what were called “specials” in church. That is, we’d sing a Gospel song together; her singing and playing the piano, and me, standing behind her as much out of sight as possible, the introvert with a good voice, singing and keeping rhythm with my nervously knocking knees. After seeing Jesus he was taken out and stoned. Many people have seen what they believe are images of Jesus in all manner of earthly objects and earthy settings. A couple of years ago a man claimed to see Jesus in bird poop on his car’s windshield. He’s reportedly selling the windshield to a collector of these pop-culture relics. Whether on toast, a potato chip, in tree bark, or a streak on a window, I have a hard time believing that Jesus would make such an appearance. Sometimes I wonder if a different kind of “stoned” isn’t going on, other than what Stephen experienced. Know what I mean? While I do believe that hyperventilating is an appropriate reaction when confronted by the presence of God – after all, Moses, Isaiah, the shepherds abiding in the field, and others all more or less fell to the ground overwhelmed by their encounters with The Holy – I’m thinking paint stains on a drop cloth or a poop splat on a windshield aren’t exactly of the same caliber. I mean, how do they know it’s Jesus they’re seeing and not, say, an image of Max von Sydow, Robert Le Vigan, Jim Caviezel, or any number of other actors who have portrayed Jesus in the movies? Or, perhaps, they’re imagining the vestigial visage of John Lennon, Tommy Chong, the Big Lebowski, or anyone else who ever had long hair and a beard. The truth is that we really don’t know what Jesus actually looked like. But in reality, every image of Christ we’ve ever seen is only a representation of how various individuals have imagined he looked. So, when someone spots the Savior in an oil slick, they’re not seeing Jesus, but just an idea of Jesus. It’s easy to dismiss these spottings as a bunch of hooey rather than something holy. After all, the faux-marble vinyl flooring in our bathroom, when stared at while, you know, you’re sitting in there, can yield what could be images of Christ. In fact, I’ve managed to spot several when I really looked intently trying to find them. So I wonder, what are these Jesus-in-stuff spotters actually looking for? Are they looking for an encounter with the real Jesus or something else? Why are they so ready to see Jesus in a candy bar, a chunk of wood, or a frying pan? It’s easy to blow these people off as less than bright, but I doubt Christ would. I’m guessing that for some reason Jesus is on their minds. Why are they looking for Jesus? What Jesus are they looking for? Are they looking for a talisman, an idol, or a good luck charm? Or are they looking for the Jesus who can and will change their hearts if they let him. Do they really want to be changed or do they just want to improve their luck? Perhaps all they really want is to make a little extra cash from someone who collects these quasi relics. Perhaps they’re looking for a Santa Claus effect: give me a better life but leave my life alone at the same time. It’s pretty common for people to suddenly “need” God (and Jesus is God’s Son) when they’re in trouble or have an intense want. So maybe these people are doing some soul-searching, looking for an answer to a problem, when “Voila!”, they see what they believe is the face of Jesus in a stain and feel saved. The thing is, they really aren’t. Saved, that is. A lot of people encountered Jesus when he was alive. They saw him and experienced him in person. They heard him speak. They saw him heal. They witnessed his miracles. They filled their bellies from the multiplied loaves and fishes. And then they crucified him on a cross and walked away. Today, you can spot decorative crosses hanging from the necks of just about everyone as a sort of good luck charm. The thing is, Jesus will show up where and when you need him if you call on him. He’s not too proud to get low to be where you are. After all, he made his first appearance on earth in a smelly, muddy stable. And he did come for your benefit. He said, “I have come that [you] may have life, and have it to the full” (John 10:10). He further explained, that his Father “God so loved the world that he gave [me, Jesus] his one and only Son, that whoever believes in [me, Jesus] shall not perish but have eternal life. For God did not send [me] his Son into the world to condemn the world, but to save the world through [me, Jesus]” (John 3:16-17). So looking for Jesus is not a bad thing, but it helps to know what to expect and how to react when he shows up. When Jesus gets close, maybe from time to time he does leave a mark on everyday objects. If you spot him in your soup or the foam of your coffee, perhaps you should perk up and pay attention. Think about what’s going on in your life that is opening you up to a visit. Why are you seeing Jesus and what are you looking to get from him? What he really wants is to leave a mark on you and change your heart. Wearing a cross doesn’t win you blessings. Jesus is not and won’t be your talisman, good luck charm, or relic. However, seeing Jesus on your windshield could be a clue that he’s near you, cares about your situation, and is just a belief away from becoming your Savior joining in relationship with you. The amazing thing that happens when you take Jesus on as more than just a piece of jewelry is that your life begins to reflect Him. Stephen from the song was viewed as “a man full of God's grace and power, [who] did great wonders and miraculous signs among the people” (Acts 6:8). He had committed his life to Jesus, was in relationship with the risen Christ, and it showed in his courage and care for others. And when Stephen saw Jesus, he wasn’t looking for some holy handout; he was laying his life down for the Cause and looking forward to being welcomed into heaven. Marched the hero of the Lord into heaven’s fold. Are you looking forward to being welcomed “home”? I am! Can you see him? Do you hear his voice? Can you feel his touch? Do you want to experience a relationship with him? Or is He just there like the cross on the chain around your neck? Share your thoughts in the comments! If they come into our country and visit many of our churches, they will be met with anger, suspicion, and anything other than welcome. Ostracized and marginalized, they will likely become isolated and susceptible to ISIS and other propaganda. The message they hear is one that will resonate with their experience. In the end, after they become radicalized, they will point to their less-than-warm “welcome” by American churches and American Christians as the triggers. After all, look what happens to non-violent, non-Muslims who are hurt by Christians and leave the church. They attack the church every chance they get, in books, articles, on TV. Transfer this vitriol to a culture where violence tends to be more acceptable and, well, it’s not going to be pretty. On the other hand, taking the long view, doing what Jesus commanded and called His people to do -- loving, accepting, evangelizing -- will change hearts and minds in a positive way. Accomplishing this loving, accepting, evangelizing here, within the comfort and safety of our shores, will be far easier than trying to accomplish it over there, in the middle of the chaos. Over there, where the refugees are in desperate flight or are being held like prisoners in camps and worse, a message of hope and peace is hard to get through. Ears are deaf when bellies are empty and nights are cold. Fortunately, there are those churches where refugees are welcome. There are those Christians who are helping, who are actively loving, accepting, and evangelizing these lost ones. So, ultimately, maybe it’s more logical and rational to actually welcome refugees. To let them in now. As many of them as we can fit. Then expose them, in love and kindness, to God’s Word and His Gospel, both through preaching and teaching as well as through relationship and care. Be Jesus to them. Maybe. Maybe not. I don’t know. I’m just thinking out loud. What do you think? What do you think? Should we welcome Syrian and other refugees into our country? Keep them out? Build a wall? Screen them based on religion? Why or why not? Please share your thoughts in the comments. When clients go to the Bahamas. Being a freelance writer has its ups and downs. Chasing payments is a perpetual challenge. As is the need for non-stop marketing. All of which reduces the joy of the writing part. Are you a freelancer? Can you relate to my lament? Please feel free to share your experiences in the comments! And venting is definitely allowed. Have a favorite Bible verse? Don't just like it, live it! Just about every Christian I know has at least one favorite Bible verse. Probably several. And, unlike Donald Trump, they’d be more than happy to share them with you. The verses are packed with meaning for those who hold them as favored. They are the words of precious comfort and promise that provided encouragement through the most challenging times. Every year as the old turns into the new, many will make a resolution to read and study their Bibles more diligently. This is a noble goal and one I wholeheartedly support. Definitely go for it! But I also have another challenge for you. It’s pretty simple, too. In addition to your daily Bible reading and devotional time, take a few extra minutes once each week to focus attention on only one of your favorite verses. Put that verse in front of you. Ask the Holy Spirit to give you fresh insight. Read it out loud a few times. And try to think of at least one way you can apply the verse in your life that week. If you don’t have a favorite verse, you can use these. Otherwise, simply add these to your current list of favorites. Then, once a week, pick just one of these verses to meditate on, pray over, think about, and apply. Do this even if you fall behind on your regular Bible reading. That’s it. That’s my challenge. In addition to any other Bible or devotional reading you do, set aside five to ten minutes on just one verse. I’m convinced that if every Christian would intentionally live out and actively apply the truth of their favorite verses every day, their spiritual well-being would soar and world-changing would occur. Don’t believe me? Then I dare you to give it a try this year! What are your favorite verses? Why are they meaningful to you? Have your favorite verses changed over the years? Why or why not? Do you have any tips or tricks for improving Bible study? Helping to keep yourself on track with Bible reading? Share your thoughts in the comments! And here’s a tip: One way to apply your verse could be to share the verse with someone and tell them what that verse has meant to you over the years. Again, simple!